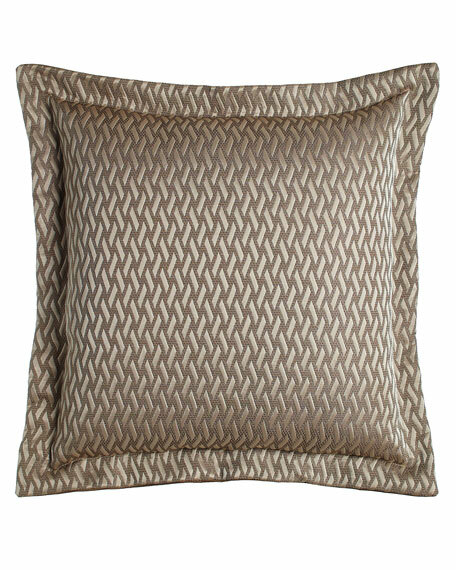 Also shown: Quattro quilted coverlet by Fino Lino Linen & Lace. 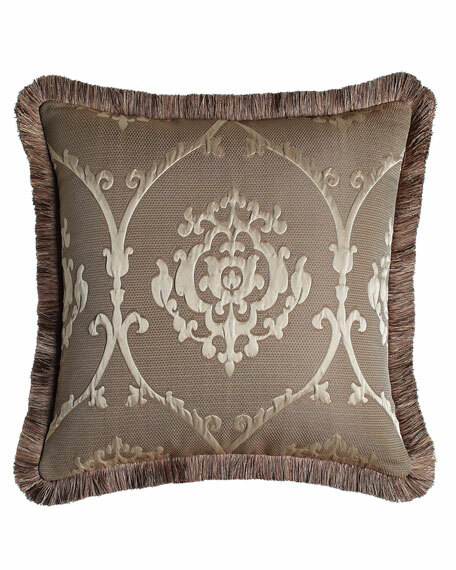 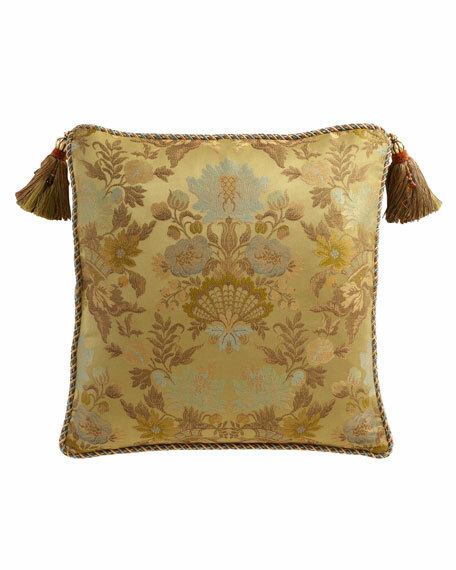 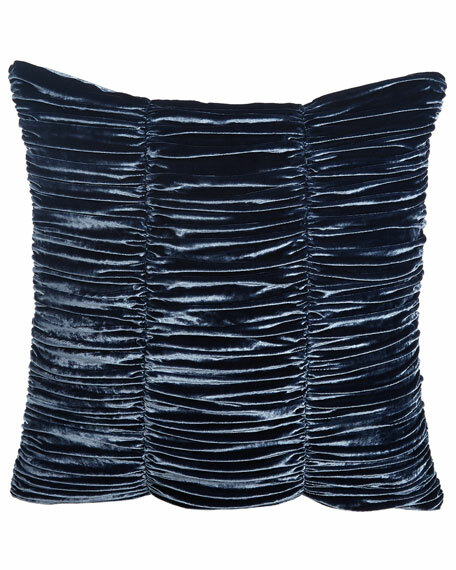 Textural damask pattern.Brush fringe.Dry clean.Made in the USA of imported polyester. 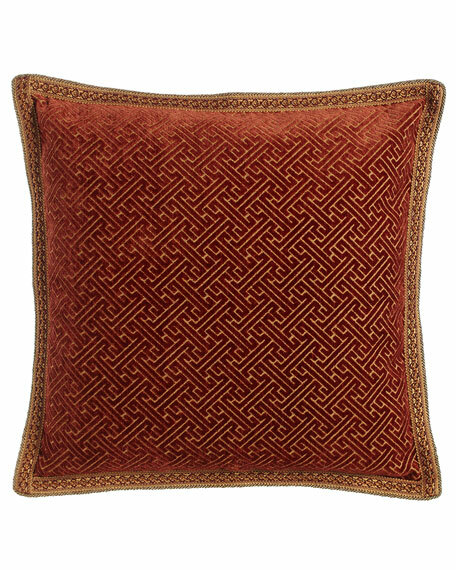 Textural woven pattern.Flange edge.Dry clean.Made in the USA of imported polyester.